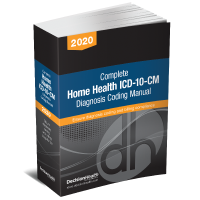 Clinical documentation improvement (CDI) is just emerging in home health and hospice, and like so many changes in healthcare, it pays to stay ahead of the curve. Join home health coding expert Joan L. Usher to understand the important role that quality clinical documentation plays in improved patient outcomes. CMS’ pre-claim review and value-based purchasing have brought clinical documentation improvement (CDI) to the doorstep of home health. Your agency will need detailed documentation processes to stay in compliance and avoid denials. With the focus from CMS on quality initiatives, star ratings, and value-based purchasing, your agency needs to concentrate on CDI and correct coding. Nowadays, agencies are striving to be cost-effective and quality-focused for integrated health networks and accountable care organizations. Why is it essential now? Joan L. Usher, BS, RHIA, ACE, AHIMA-approved ICD-10-CM trainer, is the president of JLU Health Record Systems in Pembroke, Massachusetts. Usher is a nationally recognized expert in the field of ICD-10-CM coding and health information management. Her career began at a visiting nurse association, and she has been consulting for more than 30 years. Usher has been a certified OASIS specialist in the clinical realm for over nine years and is the author of The CDI Guide for Home Health & Hospice. She received the Distinguished Member Award from the Massachusetts Health Information Management Association in 2017. Joan is also a Board of Director for both the Home Care Alliance of MA and the Hospice & Palliative Care Federation of MA.